From the maker of the world’s cheapest car – the Nano, Tata is proud to present the world’s cheapest apartment, strategically priced at $7,800 per unit. 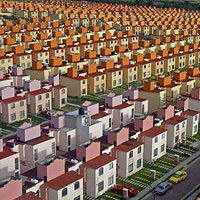 Hopefully it is not another mass housing in Ixtapaluca, Mexico. 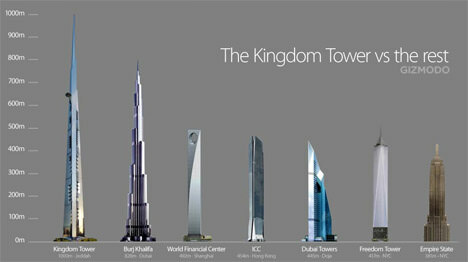 Come to think of ‘need’ and ‘want’, where does an architect’s responsibility lies? 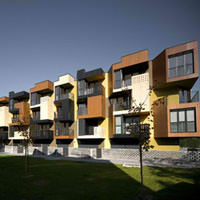 Affordability appears to be a taboo word in every architect’s dictionary. This may sound like an oxymoron especially since architecture and affordability are both on the “opposite side” of the sphere. 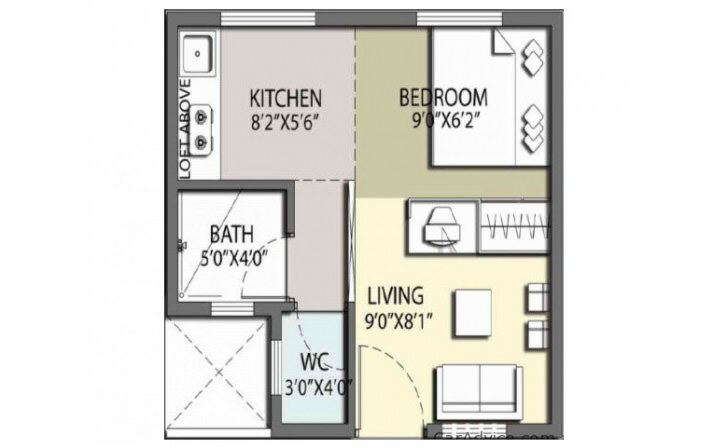 No Doubt that by reducing the area we can reduce the cost of Unit but that doesn’t mean we should reduce the area which is actually not habitable, if we are asked to buy such houses are we going to opt for it, NO, see the size of bedroom you are providing, if a bed of 5’x6′ is kept inside that will their be any place left for circulation, the architect is showing image of double bed. 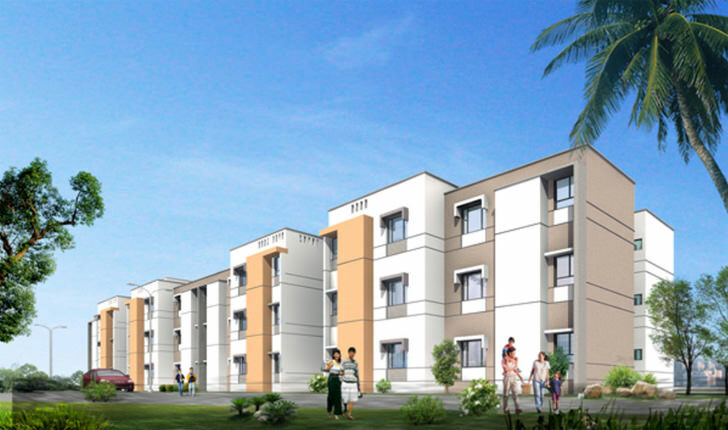 instead to 3 rooms provide big 1 RK which can be moulded easily according to owners requirement, even studio apartment can be built which looks elegant as well. Affordable doesn’t mean only reducing the area but modifying construction method which can reduce down the cost of construction so that the units can be sold at the rates less than the prevailing this will actually help EWS & LIG. Hope there’s a good extractor fan in the kitchen, otherwise things could get pungent in the “LOFT ABOVE”. Does anyone know a developer in Thailand for flat pack houses, or contact details for Tata in Thailand?